The growing ESL market of the Czech Republic draws teachers to this historic country in the heart of Europe, where they can gain valuable experience while making significant contributions. While ESL teachers are in demand throughout the year, ESL teachers in the Czech Republic typically start teaching in September. Teaching positions are available through public and private schools, language schools, universities and colleges, and through private tutoring. As well, opportunities exist in business settings. Literacy in the Czech Republic is about 99%, due to a great extent to the fact that formal education is free (in the public school system) and compulsory for students from 6 to15 years of age. The school system is divided into four main categories: Preschool, Elementary, High School, and University; and within the Elementary category, there are two sub-categories, Primary (Grades 1-5) and Secondary (Grades 6-9). Private schools generally receive government subsidies. The two-semester school year begins in September and lasts through June, with a two-month summer vacation at the end of the school year. Opportunities to teach within the public or private school system would require that teachers have a Bachelor's degree and TESOL certification. Formal teaching experience makes candidates preferred. Teaching positions are available through various agencies easily found on the Internet. Private language schools provide supplementary education for students who require additional tutoring. Classes are offered during after-school hours and at other times typically convenient to students. As private language schools do not follow the semester system of conventional schools, teachers are generally hired year round. As private language schools each operate on their own independent set of policies, teaching requirements vary; however, most schools, particularly in the city centers, require a Bachelor's degree and TESOL certification. The academic year for most universities in the Czech Republic begins mid-September and runs through mid-February for the first semester, and begins in late-February and runs through the end of June for the second semester. Most universities in the Czech Republic are heavily subsidized by the government. Teaching opportunities in universities are not as abundant as those in primary and secondary schools, and typically require higher credentials and previous teaching experience. Many ESL teachers conduct private tutoring in addition to formal teaching. Technically, private tutoring is illegal without proper documentation and licensing, and could result in deportation if discovered. In addition, some contracts clearly disallow tutoring on the side as it is considered to be competition, or at the very least, a distraction from school duties. Those who choose to do private tutoring can charge between 200 - 350 CZK per hour. Graduates of Oxford Seminars receive our Job Placement Service with access to established schools and recruiters throughout the world. Tutor boasts an enrollment of over 10,000 students and claims to be the largest language school in the Czech Republic. It offers language training in 18 different languages for all age levels. Caledonia has been in the Czech Republic since 1992 and offers language training in various languages, including English, throughout the country. It has six centers in the nation's capital, Prague. Established over 130 years ago, this language school has over 550 centers in over 70 countries around the world. 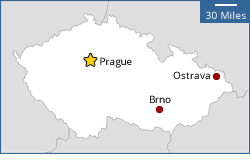 In the Czech Republic there is a company presence in Prague and Brno. British company with centers throughout the Czech Republic. Summer teaching positions in the Czech Republic do exist and when available can be found on popular job boards like: ESL Jobs, Dave's ESL Cafe, or TEFL.com. Watts English, a private language company, regularly offers summer programs. Private tutoring can also be a good source of income during the summer months provided one can do so legally. There are opportunities for teaching Business or Conversational English in a business setting as many employers hire in-house English teachers to train their employees. These opportunities would most often be during employee lunch hours, or before or after work hours. Should one be looking for a teaching position while visiting the Czech Republic, it is advisable to have a prepared lesson (30-90 minutes) should a school ask for a teaching demonstration. - The Czech Republic has a low violent crime rate and is considered to be very safe; however, pick-pocketing is very common and as such, vigilance is advised in crowded areas. Backpacks and shoulder bags should be carried in front of you. - Some restaurants don't accept credit or debit cards, so it is always advisable to carry sufficient cash when dining out. However, It is unwise to carry overly large amounts of cash as pick-pocketing is common. - Tap water is safe for drinking. - If asking for water in a restaurant, you will likely receive bottled water and be charged for it. - Tipping a taxi driver or waiter is increasingly expected in the Czech Republic, particularly in Prague. If no service charge is added to a bill in a restaurant, a 5-15% gratuity is appropriate. Leaving the tip on the table when leaving a restaurant can be considered rude; it is better to give it directly to the waiter/waitress. - It is considered polite to remove your shoes when a guest in someone's home. - Business casual attire is appropriate for the classroom. It is best to dress modestly and conservatively. Avoid wearing shorts unless involved in a sporting event. 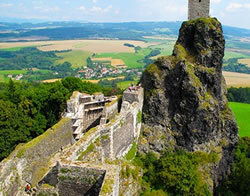 - Adopt an adventurous attitude and experience the cuisine, culture, and historic sites of the Czech Republic. - The voltage in the Czech Republic is 230 volts/50 Hz, making the purchase of a transformer necessary if relocating to the Czech Republic from North America. - Consider getting an international driver's license in your home country before going to the Czech Republic. The requirements and guidelines below are listed for ESL teacher applicants to the Czech Republic who are citizens of: United States, Canada, UK, Ireland, Australia, New Zealand or South Africa. *Some schools in smaller towns may not require a completed degree as long as the applicant is a native English speaker and has a TESOL certificate. - Visa Exempt Entry: Extended to several countries (listed on the Czech Republic embassy website). Valid for a maximum of 90 days. - Short-term Visa (C Visa): Designed for those staying in the Czech Republic for a maximum of up to 90 days. For those who enter the country for the purpose of: tourism, study, work, etc. - Long-term Visa (D Visa): Designed for those staying in the Czech Republic for a period of time longer than 90 days up to a maximum of six months. 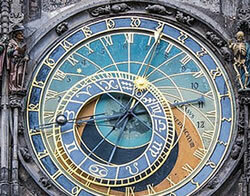 Extending a visa beyond six months must be done from within the Czech Republic. For those who enter the country for the purpose of: employment, study, etc. - Green Card (Long-term Residence for Employment Purposes): Designed for use with specific jobs in the Czech Republic which have not been successfully filled by workers from the Czech Republic or the European Union. It is advisable to inquire of one's potential employer as to whether the Green Card is an applicable visa. - Spousal Visa: designed for those married to a Czech citizen. This visa can be used to teach English, provided the necessary requirements are met. - Citizens from the United States, Canada, Australia, and New Zealand can enter the Czech Republic on a Visa Exempt Entry for a maximum period of 90 days. - Foreigners are prohibited from engaging in any type of gainful employment without an applicable visa. Deportation is a potential consequence of violating this law. - Entry to the Czech Republic will only be granted if there are at least three months remaining on the applicant's passport after stay in and departure from the Czech Republic. - Documentation for proof of pre-arranged accommodations, sufficient funding and medical insurance are required for entry into the country. Details can be found on the website of the embassy of the Czech Republic. - A visa can only be issued at the embassy/consulate where the application was submitted. - All documents must be presented to the embassy/consulate in original or legalized form and translated into Czech. Passports do not need to be translated. - Visas can take from 60-120 days to be processed. - It is advisable to apply for a visa from your home country. - Apply for a visa in person if possible. If the embassy or consulate is too great a distance away, the application can be processed through the mail. - Citizens of European Union member states do not need any visa to be allowed to travel, live and work in the Czech Republic and are preferred teacher applicants for Czech schools. - The applicant secures a contract with a legitimate school. - The employer initiates obtaining a work permit on behalf of the applicant through the local Employment Administration Office. - Required documentation must be legalized and verified. Specific processes and requirements can be obtained from the local embassy/consulate in which application is being made. - Required documentation must be translated into the Czech language and verified at the embassy/consulate. - Once a work permit is obtained, application for a work visa is made through the applicant's local Czech embassy or consulate. - The visa application is processed by the Ministry of the Interior. - When approved by the Ministry of the Interior, the visa is entered into the applicant's passport and returned to him/her. - Upon arrival in the Czech Republic, visa holders must report to the Czech Foreigners Police Office within three days. - A valid passport with at least three months remaining after travel dates. (This should be confirmed with local embassy/consulate). - Passport photos (Specifications outlined on embassy/consulate website). - Authenticated Criminal Record Check. - Additional documents as requested by the Ministry of the Interior.